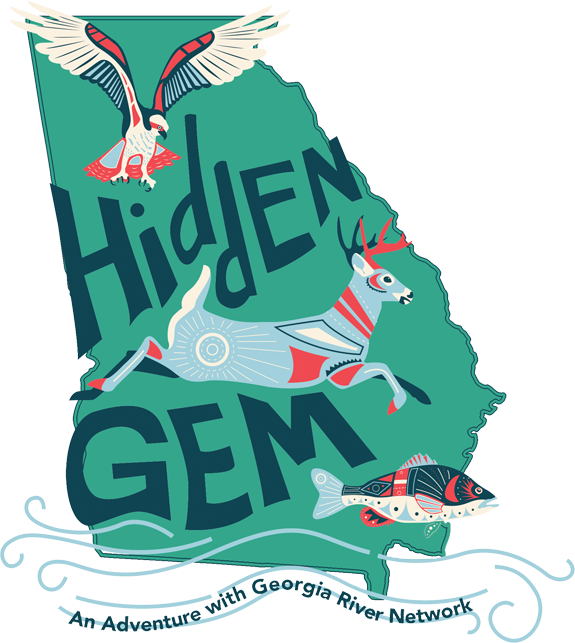 Life at the Water’s Edge – A Guide to Stream Care in Georgia – This publication reviews simple stream care practices targeted at homeowners. USDA Streambank Stabilization Guide – USDA has produced a resource for those interested in learning about streambank stabilization projects. You can download the chapters online or order a hard copy for free. Riparian Setbacks: Technical Information for Decision Makers – This a review of the recent scientific literature organized to provide the scientific basis upon which a township or municipality could begin the task of defending a riparian setback ordinance from the growing, increasingly sophisticated legal challenges being mounted by the development community. Within that overview the document touches on recent literature on wood in streams, sedimentation effects, shading and temperature effects, and some interesting literature on riparian forest effects on flood damages and bank stability. Georgia Water Wise Council – The Georgia Water Wise Council encourages water conservation in every sector including manufacturing, the green industry, agriculture, commercial businesses, government, and the general public. Click here. EPD Water Conservation Website – This site includes links to Frequently Asked Questions (FAQs), Water Conservation Requirements, Water Use and Conservation Facts, and Educational Tools. Clean Water Act and Permitting – For a general overview of Section 404 of the Clean Water Act, click here! For a description of the 404(q) process (the process that kicks in when the EPA and U.S. Army Corps of Engineers disagree over issuing a permit), click here! Have you heard the term 401 certification? This is the process by which the State of Georgia gives water quality certification for a proposed permit from the U.S. Army Corps of Engineers. For more info, click here! American Rivers has a dam removal data base that is now available to the public. River Network has a great online tutorial to help you learn the ins-and-outs of the Clean Water Act. Sewage Spills – The Environmental Protection Division (EPD) provides information on municipal and industrial sewage spills reported to EPD. The spills report is posted at https://epd.georgia.gov/sewage-spills-report. Visit the Clean Water Campaign’s website for residential and business solutions to make a difference for clean water. The U.S. Environmental Protection Agency (EPA) has lots of great information and fact sheets about wetlands in general at: https://www.epa.gov/owow/wetlands. As most (if not all) reservoir projects in Georgia have some impact on wetlands, the regulatory system related to wetlands applies as part of the reservoir permitting process.